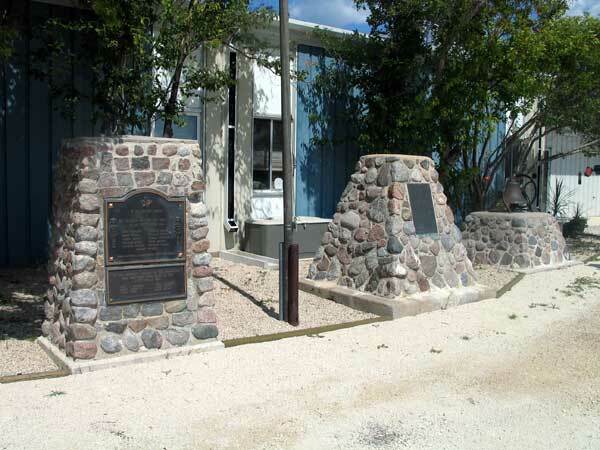 A set of three monuments in front of the Balmoral public school commemorate local residents who died serving in Canadian military forces during the First World War and the Second World War; and pioneers of the Balmoral area. The first European settlers arrived in this area in the early 1870s and, in 1877, a Methodist church was constructed on land belonging to John Peden. 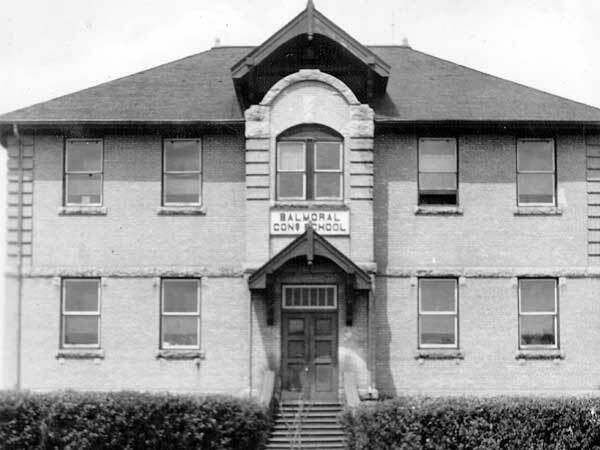 A year later, the first Balmoral School opened, named after Balmoral Castle in Scotland. 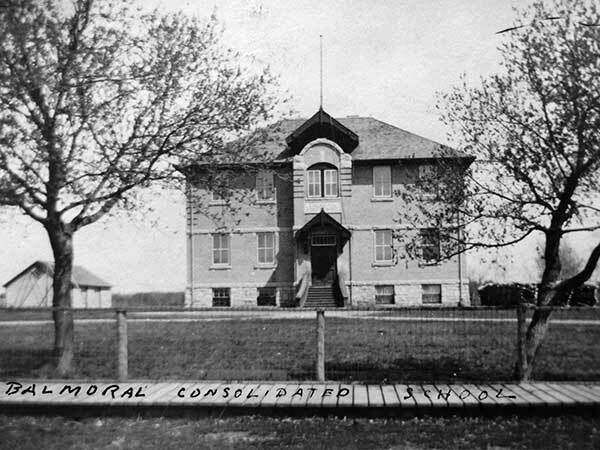 The Canadian Pacific Railway arrived in the area in 1898, a grain elevator was constructed by the Northern Elevator Company, and Balmoral became a thriving agricultural community. GR8461, A0233, C131-3, page 21. 100 Years of History: Rockwood Municipality by Rockwood Municipality History, 1982. For the names of First World War casualities from Manitoba who do not appear on any physical monument in the province, see the Manitoba Historical Society War Memorial. If you know of a name that is omitted from this list, please contact the MHS War Memorial Researcher Darryl Toews (darryl@mhs.mb.ca). Soldiers of the First World War - Canadian Expeditionary Force, Library and Archives Canada. Canadian Virtual War Memorial, Veterans Affairs Canada. Financial support for research reported on this page was provided by the Manitoba Heritage Grants Program (2015-2016). This page was prepared by Gordon Goldsborough, Nathan Kramer, and Darryl Toews.